Capnomancy or libanomancy is divination or scrying with the use of smoke. Various cultures have various traditions around capnomancy. It is a method used in Hoodoo, some Native American cultures, and among those following various restored Greek, Babylonian, and middle eastern traditions. It is impossible to make a universalist guide to capnomancy, since different signs will have different implications, depending on the person and the culture they are from and the belief system they adhere to. This is why it is difficult to find such a book or article. Whatever you find will be relative to the writer’s and subjects’ perspective. This guide is not intended to be a replacement for training with an elder or teacher. It is just a basic overview for those who are interested in the subject, and want to know what it entails. Get to know the deities and spirits. Learn about the deities and spirits who you'd like to communicate with you through smoke. Some are more fire and smoke friendly than others. Some are more or less communicative through smoke. It's important to remember that you can't force the spirits to fit within your frame. This is one reason why it's good to have guidance from an elder with experience. One of the first things you will probably learn when you are learning capnomancy, or develop if you are forced to go it alone, is ceremony. Either your teacher or the deities themselves, will teach you how to approach them properly. Some deities or traditions require a specific recipe of incense or immolation materials. Learn to prepare these properly. Generally, though, a "talking smoke" will at least contain some animal or animal-like materials, if it is not the immolation of a sacrificed animal itself. 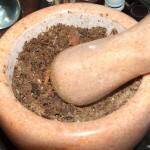 Be aware that some ancient recipes are toxic or will lead to health problems later. It is up to you whether you are willing to take the risks involved. This can be outdoors on a day without too much wind, or indoors. Make sure your space is well ventilated. Also, make sure that it is a welcoming place for the spirits with whom you would like to communicate. If you will have others participating in the session, make sure that they are not doing, wearing, or bringing anything that is offensive to the spirit(s) either. Since you are asking for the spirit(s) to affect or touch something in the physical realm, the same as you would before any other ceremony, purify yourself. It is best if you do this with smoke of incense or purifying herbs. 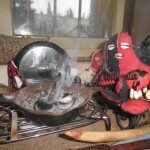 Smudging with sage, wild tobacco, lavender, pine, rosemary, etc. is a good idea. A time of relaxation and clearing the mind is important. Scrying of any sort requires a receptive mind and soul. Although there are some standard signs, and the spirit(s) may often choose to give you very clear symbols, to understand the subtleties and specifics of what they are telling you, there is a need to let go of prejudices, and to not have concerns other than the matters at hand at the forefront of your mind. 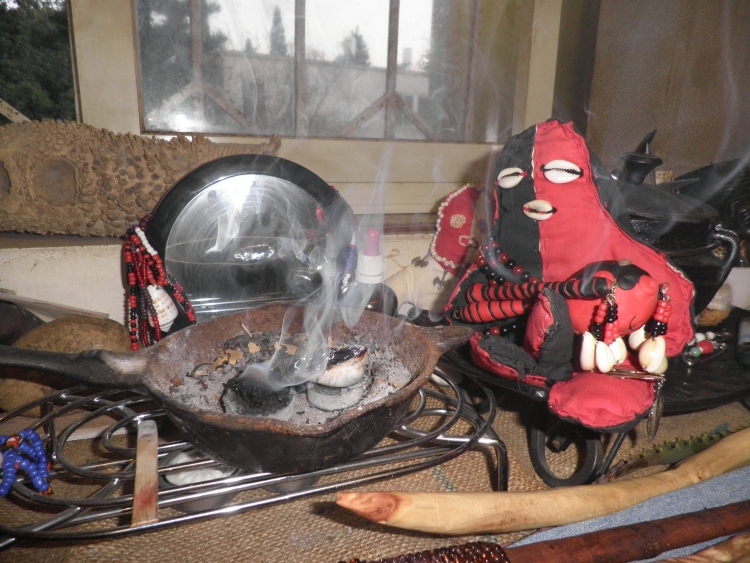 Most living polytheistic belief systems have a Gate Keeper (such as Eshu) and commencement ritual. Do this, and when you do, this is the time to focus and prepare for trance. Give the first bit of incense to the Gate Keeper. Lucid trance, or aware trance, is the state you want to be in for smoke reading. You want to be flowing with the spirits, but at the same time, able to see what is going on with the smoke. You may also want to take notes or make marks in the ground to remind you later of what came out of the reading. Some use drumming, singing, and dancing as a way of getting there. Do whatever works and is compatible with your traditions. Put the materials for talking smoke on the fire or charcoal, and watch what they do. Most traditions and ways have signs that are given at the point materials are applied to the fire, and some signs that happen along the way. Again, it's good to take notes of what occurs as you go. At the close of the ceremony, thank the spirits who have spoken to you. This is a good time to give them something on the fire that is pleasing to them, not specifically for talking. If you have done your ceremony outside, be sure that you haven't left a lot of trash or debris. Make sure all fires and embers are out, and there is no trash around, whether you brought it there or not. That’s about all I can tell you that would apply to everyone. If you don’t have an elder or an experienced teacher around, you may have to reinvent or create your own personal way of reading smoke. Just make sure that you are right with whichever deities in your pantheon are in charge of divination before undertaking such a project. Then do experimental readings, taking notes as you go, for yourself and for helpful friends, to check the accuracy of your readings, and find out what certain signs really meant. If you find that your method is teachable to others, write about it. We’d love to link to you. 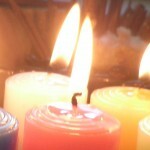 capnomancy, captromancy, divination, libanomancy, smoke, smoke divination, smoke reading, smoke signs. Bookmark.